The Symphony is one of the most popular Bangladeshi mobile phone brands. Symphony mobile was first launched in Bangladesh in 2008 & it has become tremendously demanding within a couple of years. This brand produces both feature phones & smart phones along with a number of other products including tab, mobile accessories & so on. As online shopping in Bangladesh has earned remarkable advancement in the last few years, people are now enjoying to shop online. Like other commodities, people have become habituated to purchase mobile phones online, too. Apart from Symphony brand outlets, there are a number of online & offline shops in Bangladesh that sells Symphony mobile phones & other products. Check out Symphony mobile price in Bangladesh. AjkerDeal.com, the largest online marketplace of Bangladesh, provides a wide selection of smartphones from Symphony & other global brands such as Apple, Xiaomi, Samsung, Sony, Oppo, Huawei etc. online at the best price in Bangladesh. Established in 2011, AjkerDeal.com has become the most reliable online shopping website in Bangladesh in the next 5 years. People love to buy from AjkerDeal.com, because, they get the authentic products & the best price on this Site. Beside Xiaomi mobile phones in Bangladesh, Symphony is another most widely accepted smartphone in the countr. If you want to purchase a Symphony mobile phone online, AjkerDeal is the best place for you. We have Symphony feature phones, smartphones, tab & other accessories on our Site. We provide all these products at a very reasonable price along with manufacturer’s warranty. We have all the latest models of Symphony smartphones on our Site. We have Symphony Studio 50, E12, E15, E55, E58, E62, E7, E76, E78, H120, H175, H250, H300, H400, H58, V32, Roar E80, V100, V110, V65, V75, Xplorer E10, Helio S1, & all other latest smartphone models; we also provide all best feature phones of Symphony including Symphony D105, BL50, T100, D52i, D55i & others. 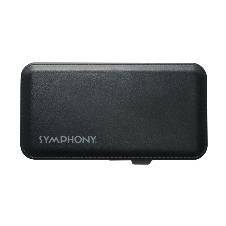 Apart from mobile phones, there are Symphony mobile charger & batteries on AjkerDeal.com. We collect all symphony products from authorized dealers; all Symphony mobile phones & other products come with manufacturer’s warranty. We also check the quality of the products before displaying them on our Site. 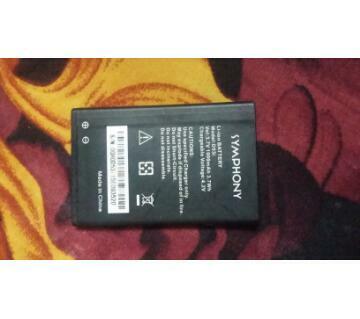 You can check the Symphony smartphone price on our Site & compare with the prices on other Sites & offline market; we strongly believe, once you have got a look at our Symphony product price, you would never move to any other place for buying a Symphony smartphone or even a simple battery or charger. So, get relieved, order on AjkerDeal.com & get the authentic Symphony products online in Bangladesh !